Healing runs through the heart of Qoleum’s founding director, Rebecca Day, who personally researched, arranged translation (Hebrew and Greek texts) and formulated the authentic reproduction of this truly special anointing oil. To this day, Rebecca personally sources each ingredient from the Holy Land, and hand-blends every individual bottle of Qoleum Anointing Oil to ensure purity and absolute adherence to the recipe in Exodus 30:23-25. Can be burnt to sanctify, bless and purify the home against sickness, germs and toxins. Speeds recovery after surgery and trauma. Relieves phantom pain following amputation. Works in conjunction with Qoleum pro-athlete products to maximise performance, safeguard against injury and speed muscle recovery. 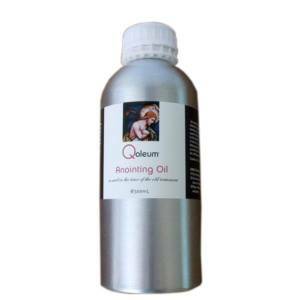 Qoleum delivers no-doping, zero narcotics products suitable for pro-athletes wanting maximum performance to win. Qoleum © 2016 All Rights Reserved. Terms and Conditions.